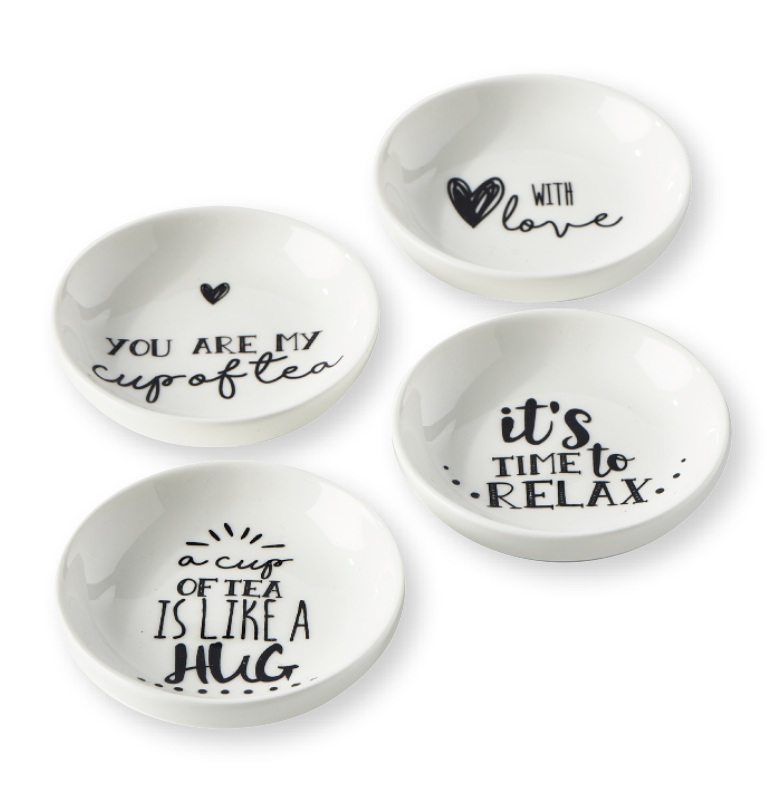 These practical, but particularly fun little dishes, are great for putting your used teabags on. 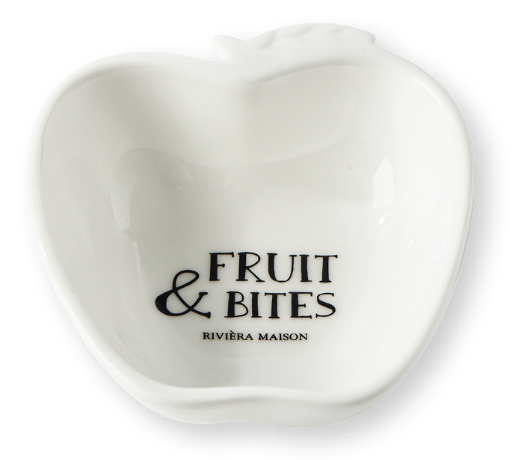 This small apple-shaped dish is ideal for a little ‘fruit on the side’. 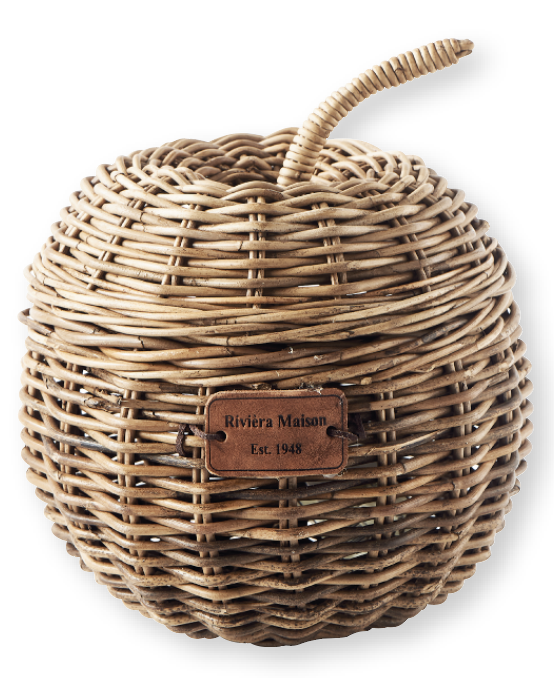 Present your mini part-baked rolls or small pots of jam in this fun rattan basket. 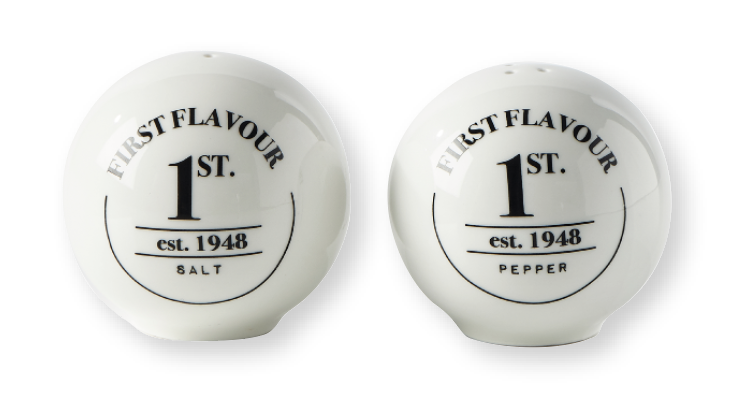 This unique salt and pepper set is a must on your breakfast table! 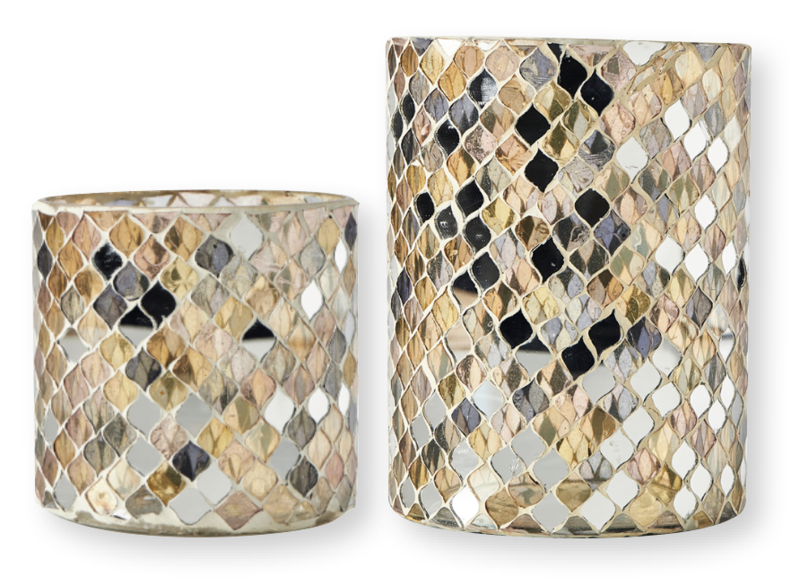 These votive candles glow cosily, exuding a splendidly chic ambience. 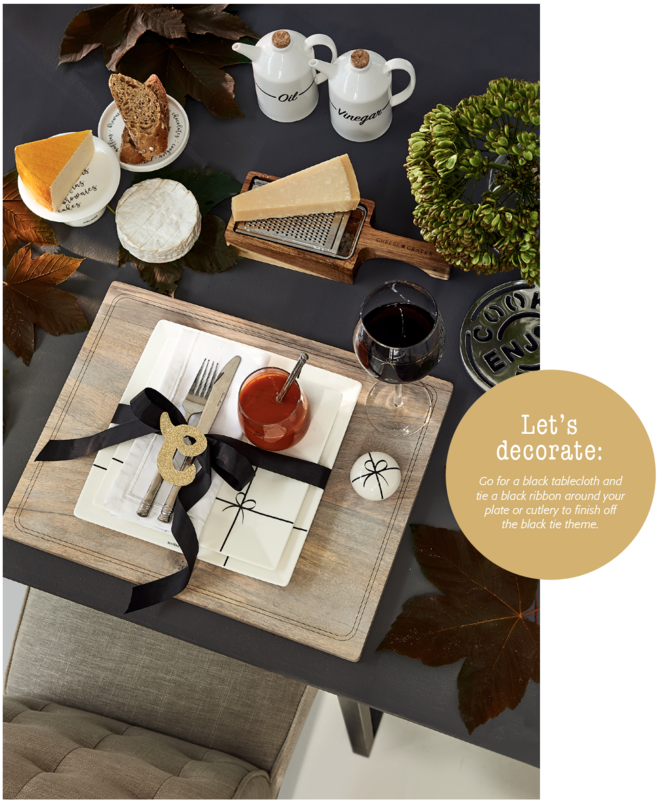 lovely example with fine black and gold detailing. 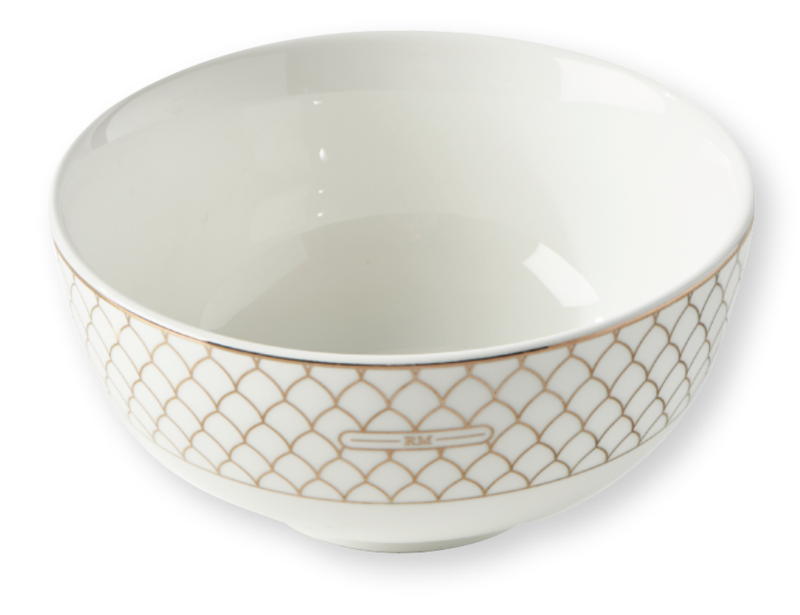 Anything you eat will taste all the better out of this bowl. 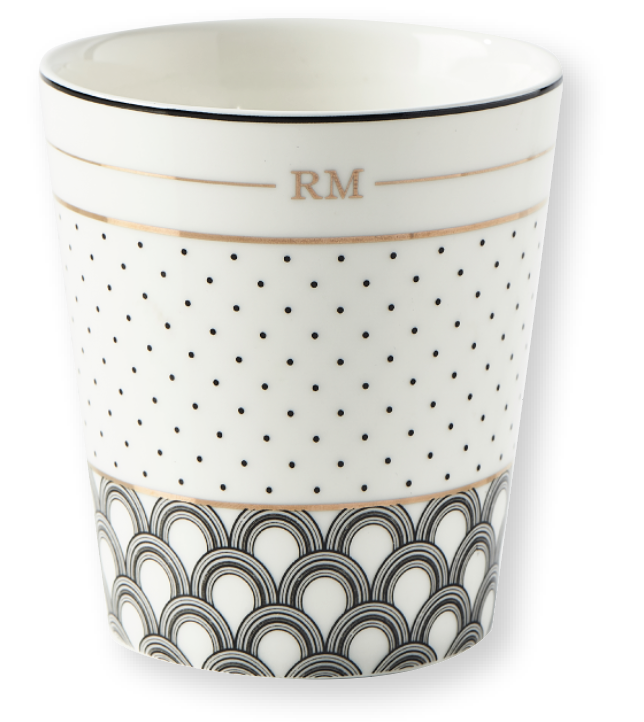 The delicate golden pattern lends this beautiful piece chicness. 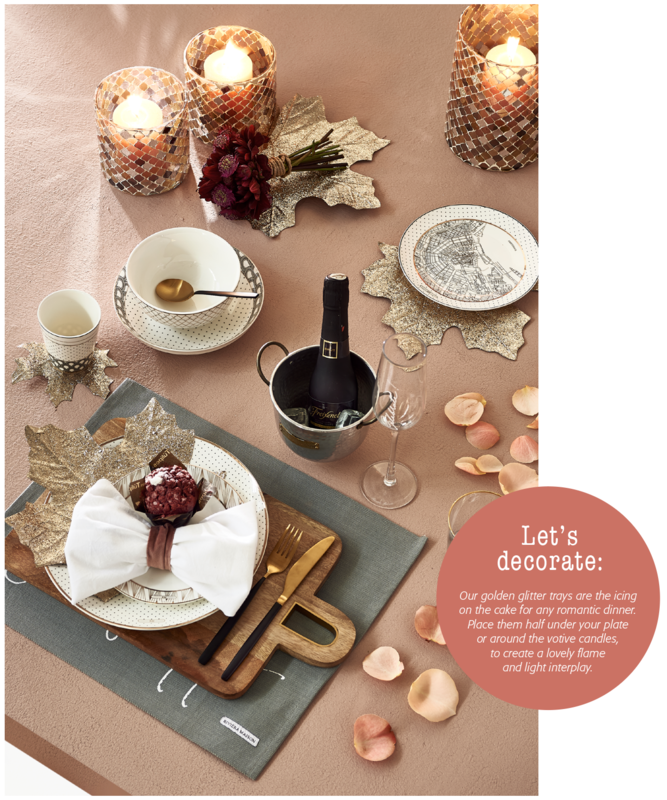 Great in combination with the other items from this fantastic range. 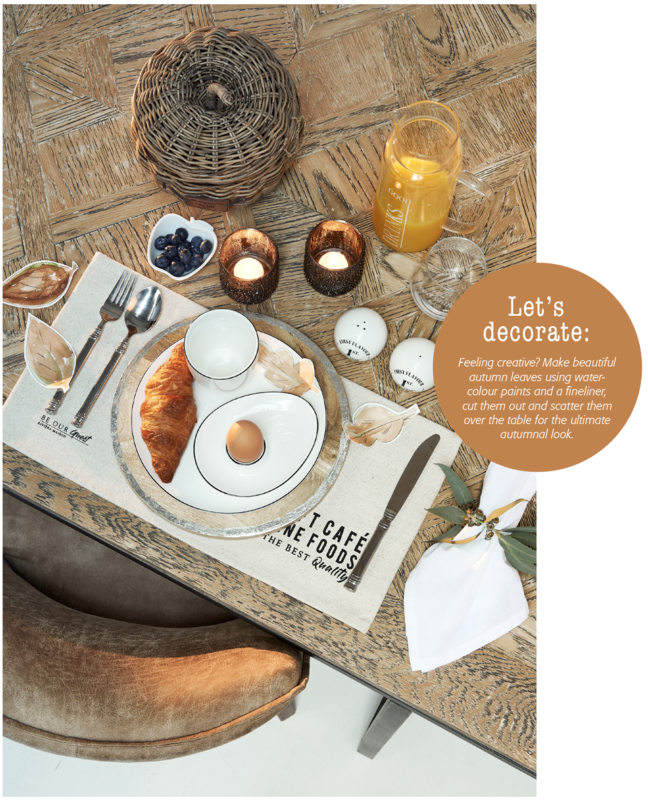 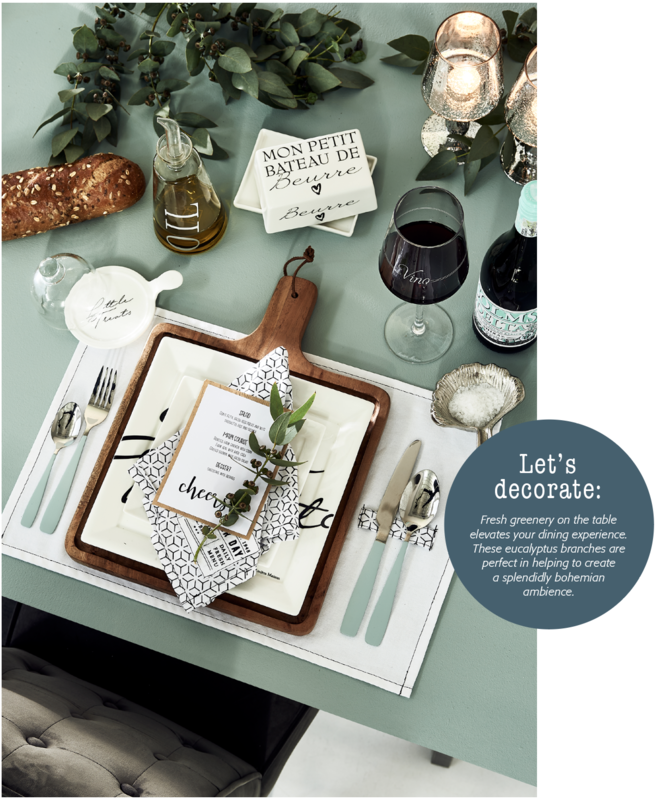 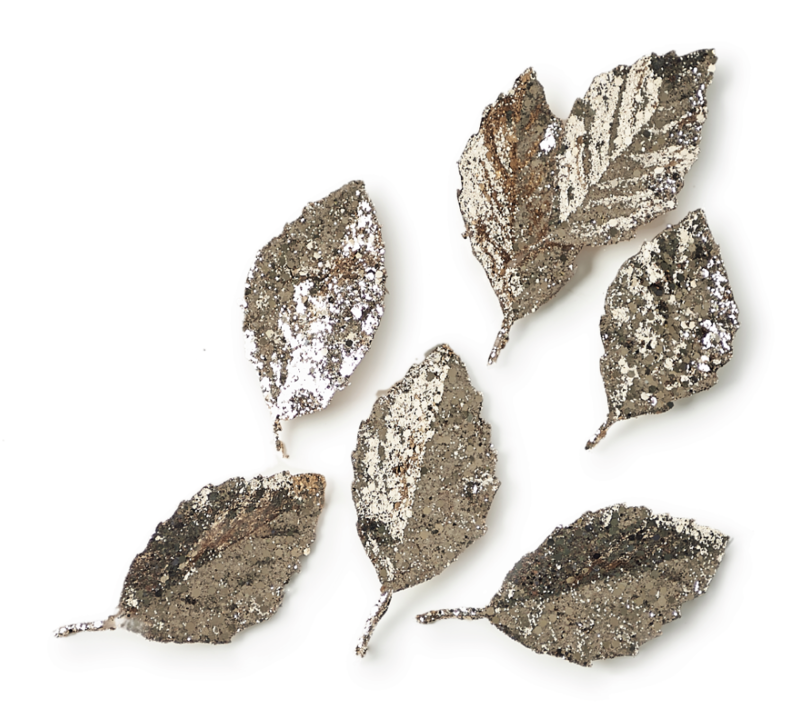 Use this cute silver-coloured dish in the shape of a leaf to hold place cards for your dinner guests. 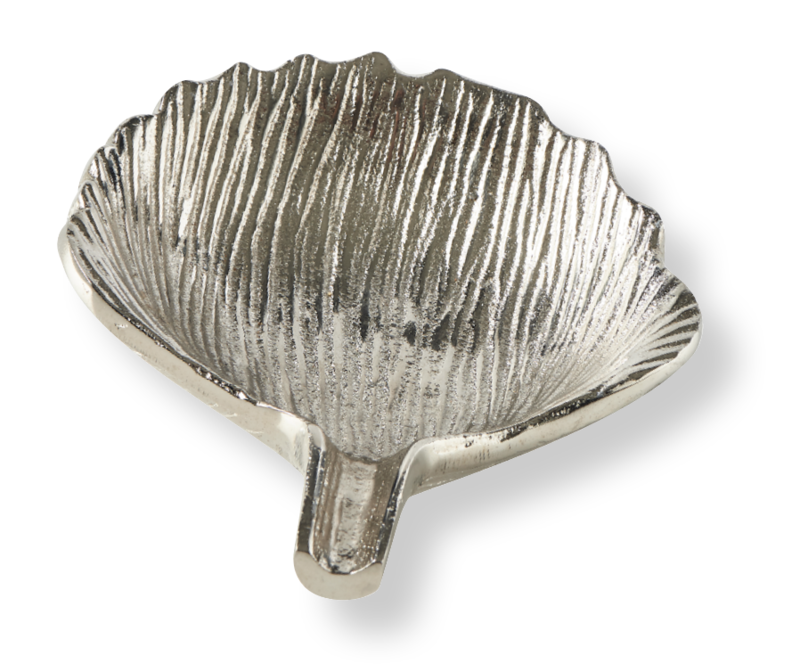 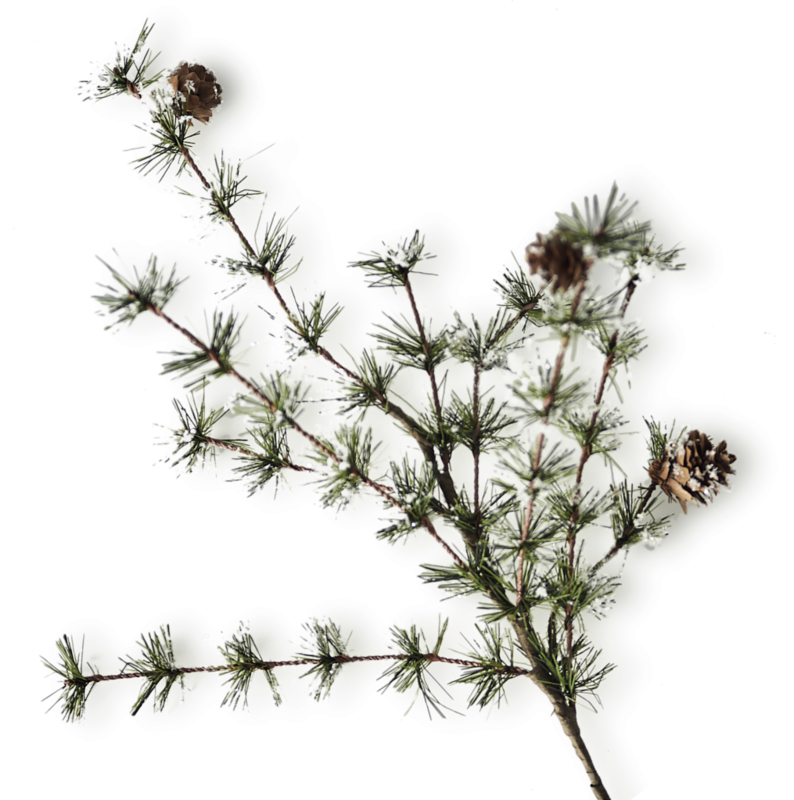 It also looks lovely on a bedside table as a dish for jewellery. 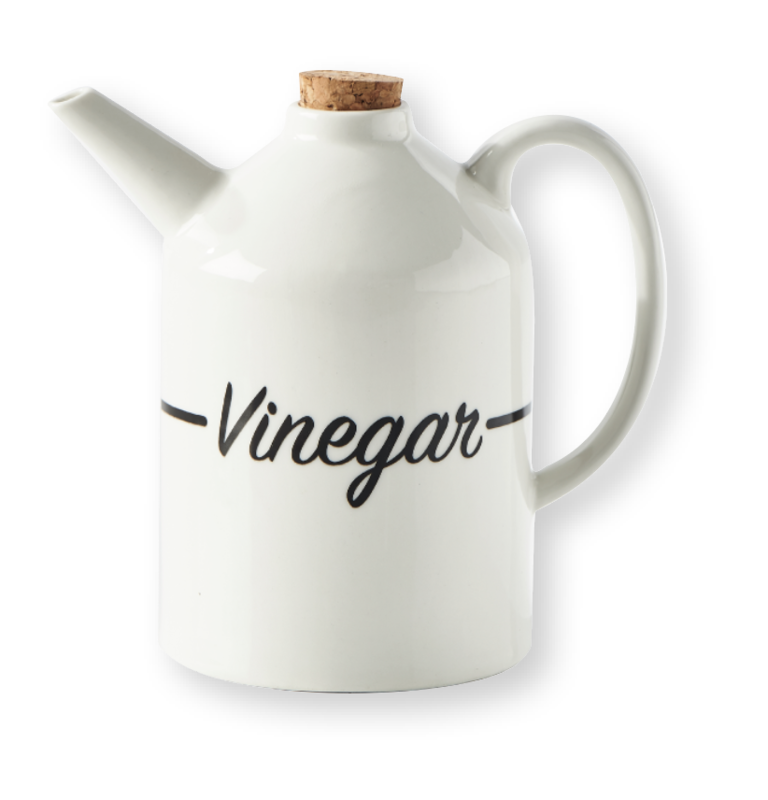 bottles with a pouring spout prove that, sometimes, simple is best. 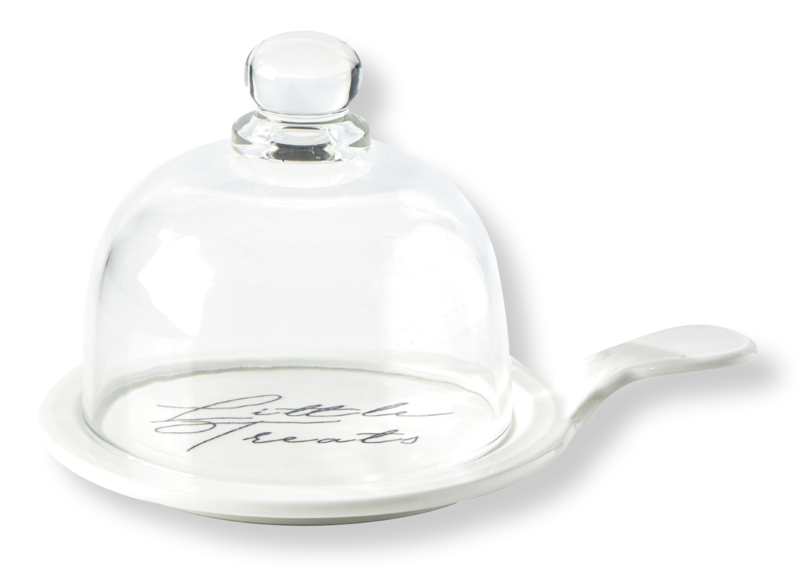 Serve a pudding or perhaps a fun, personalised gift for your guests under this small bell-jar. 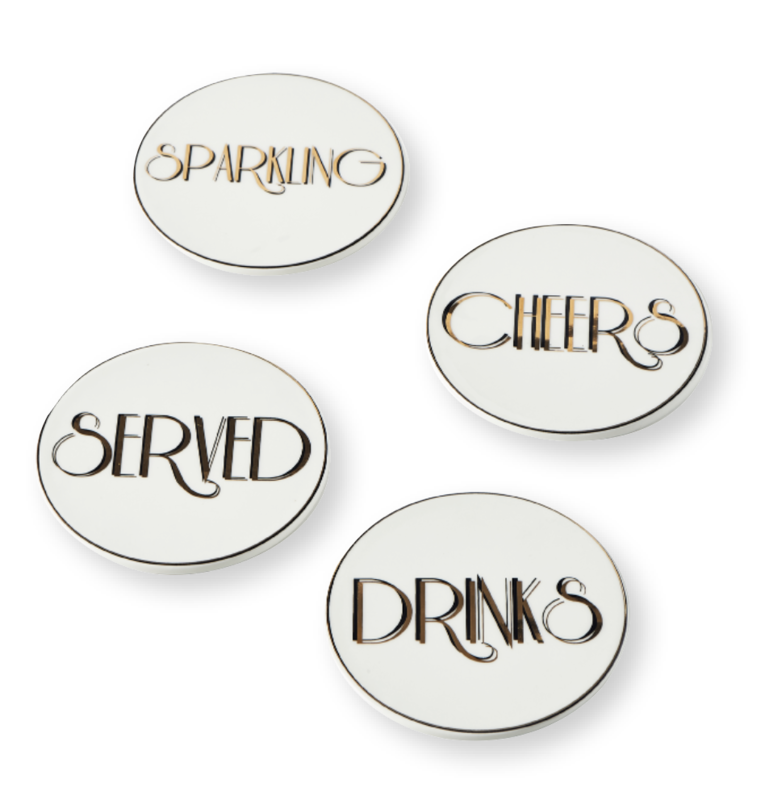 This great four coaster set evokes the glamour of the 1950s, and matches this black tie theme perfectly. 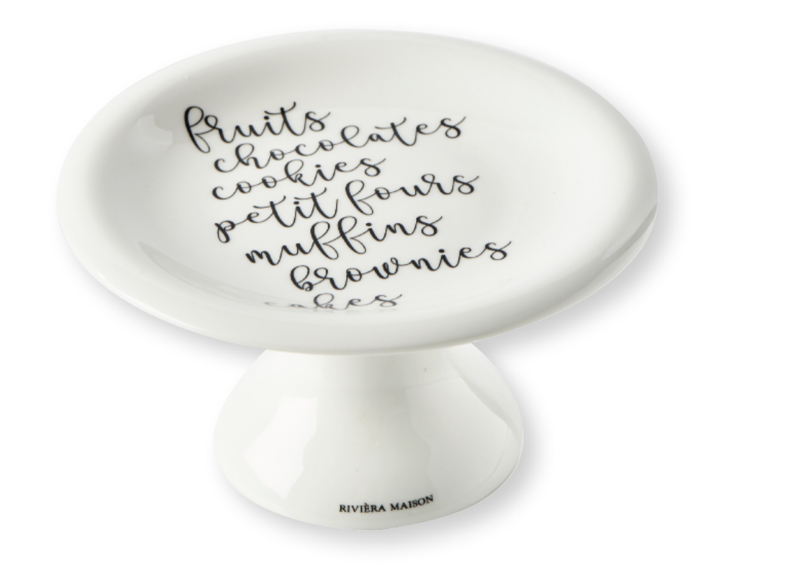 As the mini cakestand already shows, it is also eminently suitable for fruit, chocolate, biscuits and petit-fours. 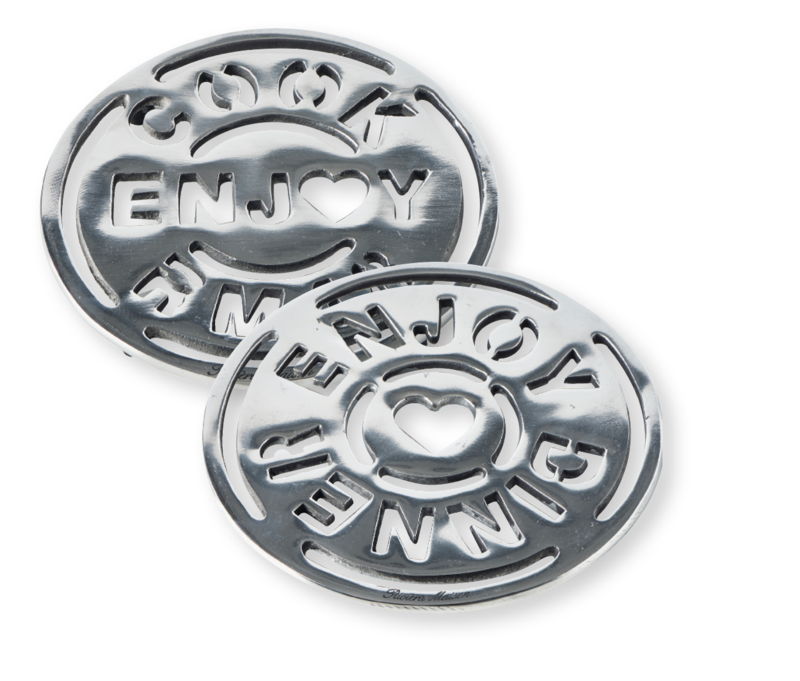 This lovely oil & vinegar cork-lid set is made of porcelain.